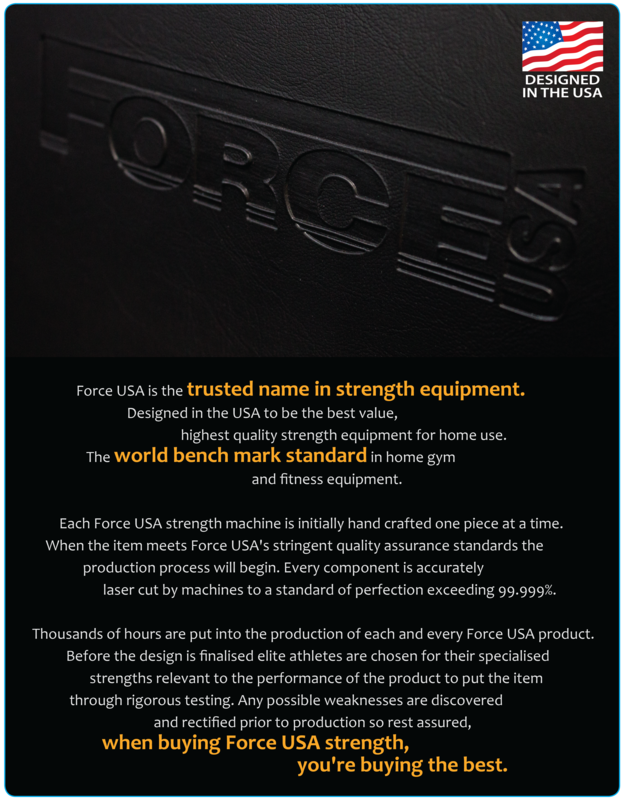 Force USA Smith Machine - The Force USA Smith Machine system has it all for serious training at home. 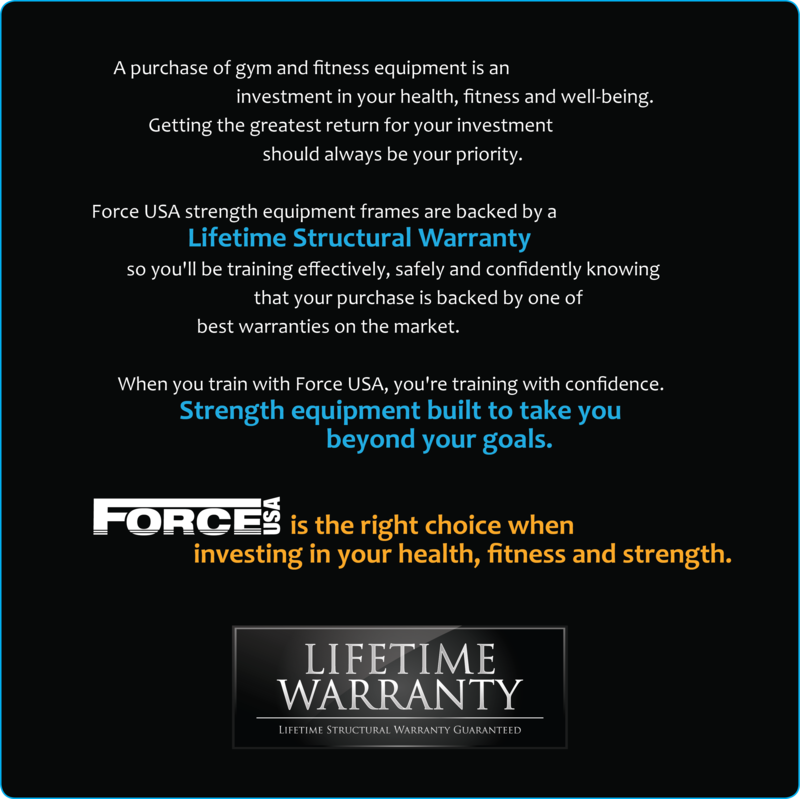 This smith machine features "Ultra-Glide" linear bearings assuring a smooth movement and a frame structure with a 7° slant designed to accommodate natural upper and lower body movements. This includes a Lat Bar, Triceps Rope, Shiver Bar, Ankle Strap, Single Handle and Chromed V-Bar. This smith machine has it all for a serious, effective workout. NOTE: Bench and Weights NOT included.